Cowboys and cowgirls of the future remain focus of the Morris County Youth Rodeo Association. “While our organization sponsors several horse-related activities every year, encouraging youth to participate in rodeo and related horse events was the initial objective when the Morris County Youth Rodeo Associating was formed nearly four decades ago. Our annual fall ranch rodeo this weekend will highlight special events for the youngsters,” according to Clay Wilson, president of the Council Grove-based group. 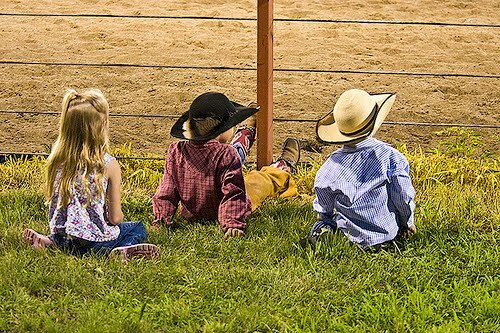 From the sidelines to the arena dust, little cowboys and cowgirls are what the Morris County Youth Rodeo Association is all about. They’ll be watching the ranch rodeo Sunday, Oct. 4, at Council Grove, and also getting in on the action during the junior ranch rodeo in the morning, as well as mutton busting and other activities during the afternoon. The 29th annual Fall Ranch Rodeo has been scheduled for Sunday, Oct 4, 1 o’clock, at the Morris County Youth Rodeo Association (MCYRA) arena, located 1½ miles east of Council Grove on Highway 56. It will again feature mutton busting, actually sheep riding competition, for cowboys and cowgirls seven years of age and under, who are welcome to sign up with parental-release day of the rodeo. Likewise again an added attraction for the day is a Junior Ranch Rodeo, Sunday,erv at 10 o’clock. 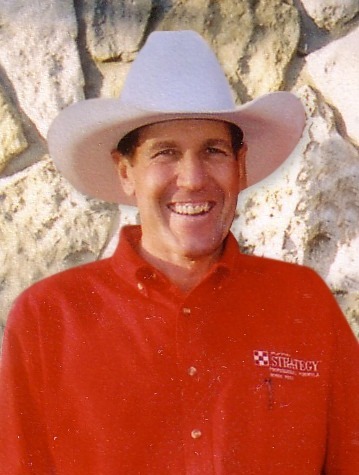 “Entries are still open for this unique action for three-member ranch teams of cowboys and cowgirls, 13 years of age and under,” Wilson explained. Team penning, ribbon roping and calf branding competitions are planned for the junior ranch rodeo, with teams typically being formed up until a few minutes before show time, Wilson noted. “Of special significance is that our ranch rodeo is the oldest in the state of Kansas, and one of the oldest in the nation, along with possibly being the longest continuously annual ranch rodeo anywhere,” Wilson said. Set for Sunday’s Western action matinee will be steer branding, team penning, double mugging and team roping. “Four-member cowboy teams representing a dozen Flint Hills ranches will be competing for event and overall championship recognition,” Wilson pointed out. Further involvement of youth, in both assisting and receiving, will be a 50-50 drawing to help raise funds for sponsoring the Morris County Youth Rodeo Association Scholarship given annually as incentive to those young people involved in the sport of rodeo, horse events and agriculture. 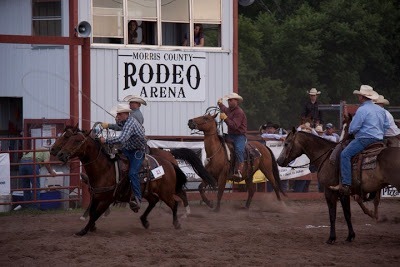 To provide for a full family day of rodeo activities, the host Morris County Youth Rodeo Association will again offer complete concessions with meals, drinks and homemade lunch offerings. Information about the full rodeo day’s activities at Council Grove, October 4, is available from Wilson at 785-466-1359, www.mrcoyra.com, and Facebook. Team spirit and cooperation are required to be a winner in ranch rodeo competition as Flint Hills cowboys and cowgirls compete in events just like they do every day in their professional life. More than a dozen four-member ranch team will be showing their ‘stuff’ in steer branding, team penning, double mugging and team roping during the Morris County Youth Rodeo Association’s annual invitational ranch rodeo, featuring a junior ranch rodeo in the morning, and youth mutton busting during the afternoon, Sunday, Oct. 4, at Council Grove.